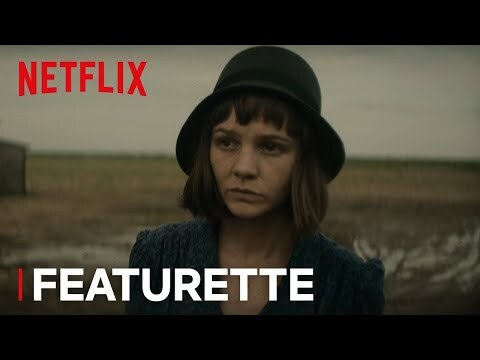 List Rules Vote up the Mudbound movie quotes you like best! Mudbound movie quotes help tell the story portrayed in the film about racial tensions on the farmlands of Mississippi in the 1940s. The drama movie was directed by Dee Rees using a screenplay she and Virgin Williams adapted from the book of the same name by Hillary Jordan. Mudbound opened theatrically on November 17, 2017, and went on to earn Oscar and Golden Globe nominations. In Mudbound, the story of two families in Mississippi during World War II are chronicled. The McAllan family consists of Henry (Jason Clarke), wife Laura (Carey Mulligan), brother Jamie (Garrett Hedlund) and racist father Pappy (Jonathan Banks). They run a farm which employs members of the Jackson family including father Hap (Rob Morgan), mother Florence (Mary J. Blige) and son Ronsel (Jason Mitchell). The setting is dull, hapless and brown as the mud of the land is as comforting as the poverty the residents live in. Both Jamie and Ronsel join the military, with Jamie in the Air Force and Ronsel in the Army, and both serve in the war before returning home to the farm. Afterwards, the two form a unique bond over their experiences at war, but their friendship is not tolerated by Pappy or others in the community. It's just a symptom of the overall unhappiness of those on the farm, including Laura, who is in love with Jamie, and Henry as they operate the farm and Hap and Florence, who work tirelessly even though they know their lives are all about working their butts off for the white folk. Mudbound was just one of several winter 2017-18 movies that earned critical acclaim just like others such as Battle of the Sexes, Roman J. Israel, Esq., Phantom Thread, and Darkest Hour. Florence Jackson: You’re the one that always talk about how owning our own parcel is the only way to get out from under their foot. Hap Jackson: I don’t want you work for them. Florence Jackson: I won’t be working for them. I be working for us. Hap objects to wife Florence working for the McAllan family in these Mudbound movie quotes. But as Florence explains, she's not working for them, she's working for her family as they strive to one day own their own land. Laura McAllan: Violence is part and parcel of country life. I learned how to stitch up a bleeding wound, load and fire a shotgun. My hands did these things, but I was never easy in my mind. 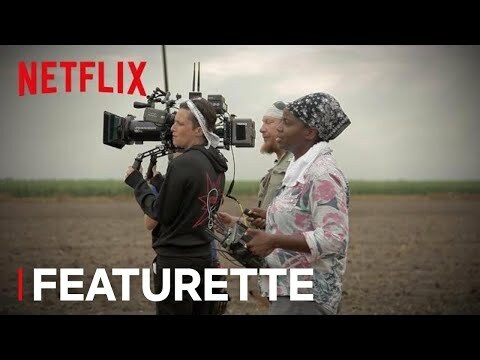 As she explains in this Mudbound movie quote, Laura understands and does what is needed in country life, but she doesn't necessarily agree with all of it. It can be dangerous, but that's just how it is. Ronsel Jackson: Silence, oppression, fear. It would take an extraordinary man to beat all that. Ronsel completely understands what it's like to be a black man in the South at this point in time and it's not fun whatsoever. As he notes in this Mudbound movie quote, it takes one extraordinary man to withstand the adversity. Laura McAllan: Jamie saw in a different way and when his eyes were on me I felt like I was no longer invisible. Pappy McAllan: I’ve seen you sniffing after him. Maybe Henry is too thick to notice, but I ain’t. Jamie McAllan: You better open your eyes, big brother. You’re so busy worrying about yourself and your farm you can’t even see your own wife is miserable. The McAllan family is in turmoil, specifically in a love triangle between Laura, her husband, Henry, and Henry's brother, Jamie. Family patriarch Pappy is intolerant of this nonsense, among other things.